New EBC solenoids are here - Miata Turbo Forum - Boost cars, acquire cats. Yes, as the photo on the catalog page shows, we've already tested it out on the red Miata. Matt, do you think this will help with the temp-dependent overboost issues a lot of us are having, or is that an issue that can only be solved with closed-loop control? Matt, i know alot of people have been having issues with overboosting and different boost levels with various ambient temperatures. Will this solenoid do the same? Or is this replacing the "old" one because it wont be as much of an issue? How could temperature dependent overboost be remedied by a boost solenoid? Is it going to magically change the density of incoming air? Ohhhhh. To bad. Missed it by that much! jeasus cant anyone here re program the ms code to get open loop to work? people who can't write code for MS.
About frickin time ya guys got on the ball and tried this solenoid. Keith G is working on a new version of the PID closed loop boost control right now. The problem this valve solves isn't the boost changing with temperature - it's that GM completely discontinued the Syclone boost solenoid we had been selling. The problem this valve solves isn't the boost changing with temperature - it's that GM completely discontinued the Syclone boost solenoid we had been selling. It should be a blessing in disguise. Is this one quieter at least? That GM one is loud as hell. 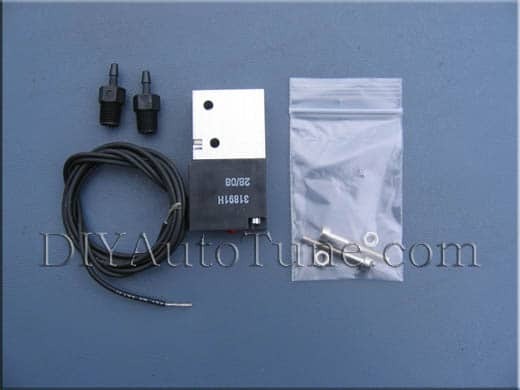 ^^ You can purchase a muffler for this solenoid. Keith G is working on a new version of the PID closed loop boost control right now. I read another thread on this and it looked as if this new PID code only applied to the MS-II. Will there be a MS-I version as well? I read that it's also being worked into MS-I as well. It sounds like MS-II will see it first, though. Keith's working on porting it over to MS1 Hi Res. Pretty sure the ECU pages in the thread are from the Hydra software.